One of our favorite easy ways to use Weeger Spice is to add a heaping tablespoon to one pound of ground beef. Add a handful of fresh chopped herbs of your choice (parsley, scallions, mint are great) and voila! This paragraph from the New York Times says it all... Yum. Is it just me or are there soooo many songs about candy? I’ve often wondered (actually, never before, until just now) why there aren’t any songs about chickpeas. They’re amazing. Is my true calling to write song parodies, Weird Al-style? I can hear my take on New Edition’s “Chickpea Girl” now. Instant viral hit…? If you’re around a huge variety of produce or farmers' markets keep an eye out for fresh chickpeas. I shell them just as I would edamame and eat them raw like, well, candy. Another one of my absolute favorite chickpea (flour) recipes is for socca, a flatbread, and was introduced to me by my lovely friend Gabi (who actually can write a song). Let me extol the virtues: only a few ingredients, nutritious, gluten-free, French, simple, savory with a bit of nuttiness and really versatile with toppings you can add. I follow David Lebovitz’s recipe from The Sweet Life in Paris to a T. These measurements and instructions are verbatim, except for the addition or Weeger Spice, lemon juice and the option to cook on the stovetop. Enjoy plain or topped with a salad or fresh tomatoes, avocados, good cheese, the list goes on. 1. Mix together the flour, water, salt, Original Weeger, and 1 1/2 tablespoons of the olive oil. Let batter rest at least 2 hours, covered, at room temperature. 2. Brush a large non-stick skillet with oil and heat over medium-low heat. Add about 1/4 cup of batter and cook until bubbly on top, about 6 minutes. Flip and cook until golden, about 4 more minutes. 4. Once the pan and the oven are blazing-hot, pour enough batter into the pan to cover the bottom, swirl it around, then pop it back in the oven. 5. Bake until the socca is firm and beginning to blister and burn. The exact time will depend on your broiler. 6. Slide the socca out of the pan onto a cutting board, slice into pieces, then sprinkle with coarse salt, Weeger Spice, and a drizzle of olive oil. 7. Cook the remaining socca batter the same way, adding a touch more oil to the pan between each one. Lately, I've been wanting to hide under the covers. I've also been mentally transporting myself to an enchanting ski chalet with a stone fireplace. It's winter in NYC and if I were Queen of the Weather, I'd order fresh powdery snow every day. It brings a special serenity to the city that's a welcome respite from the adrenaline-fueled rush of day-to-day life. Our poor adrenals need some rest. After a snowfall, is winter any good when it's not snowing (think grey slush)? It's not and anyone that lives in the city that doesn't have to shovel snow shouldn't be complaining about the snow. Anyway, the drink I've been sipping in my mental ski chalet is a variation of a Hot Toddy. I was thinking grapefruit would be a great twist. Not knowing if it existed, I googled and lo and behold, came across Thug Kitchen's recipe, which I've adapted. The kukicha tea, found in any health food store, lends a subtle roasted quality that compliments the brightness of the grapefruit. The bourbon/rye and spices round it out with deep, warm flavors. Rim a mug with honey, using a spoon or small rubber spatula. Dab the rim in a saucer of Sweet Weeger spice. Steep one tea bag in a cup of hot water for several minutes. Fill a mug halfway with tea. Add bourbon, grapefruit juice, and more honey and/or Sweet Weeger to taste, if desired. This fire is so hypnotic... slipping... further... into... my reverie, ooooo... No, thank you, Jean-Luc, no General Foods International Coffee for me, but I'll have another hot toddy. Merci. Holiday Market. Mark your calendars! This Sunday, December 7 stop by the Greenpointers Holiday Market and pick up some wonderful gifts from local artisans and vendors (including us)! 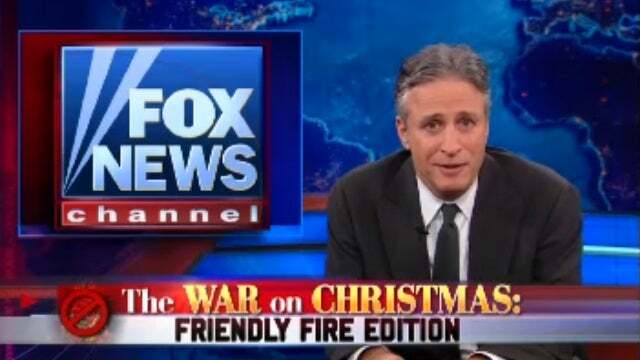 War on Christmas, Fox News? No, it's a war on bland food. If you're looking for a simple meal, chicken with Sweet Weeger is the perfect recipe. It caramelizes nicely and is a great twist on barbequed chicken. Serve with basmati rice, quinoa or your favorite side. Coat chicken with olive oil and Sweet Weeger spice. In a hot, but not smoking, skillet, place skin side down and brown for about 3-5 minutes on both sides. There's not much to say about avocado toast besides, "it's easy, it's delicious." One thing that may surprise you, though, is that Sweet Weeger Spice is really amazing paired with avocado. Here's a simple recipe that's great for breakfast or a snack, using any variety of Weeger Spice... but we think you're going to be impressed by the Sweet. Halve avocado and remove pit. Scoop flesh into a small bowl. Squeeze lemon, add a pinch of salt and mash with a fork. Toast or grill bread (we love grilling bread--it stays nice and chewy on the inside). Spread mashed avocado on toast and sprinkle Weeger Spice on top. In a large stockpot, heat olive oil over medium heat. Add onions and a pinch of salt. Cook on low-medium for about 5 minutes or until soft and translucent. Add carrots, plus another pinch of salt (optional), stir and cook 5 to 7 minutes or until softened. Add cauliflower and garlic, another pinch of salt, and stir to incorporate into the mixture. Cover and let cook for another 8 to 10 minutes or until cauliflower is very tender. Add stock and cook for 5 to 10 minutes to allow flavors to infuse. Ladle mixture in a blender less than halfway and cover the top with a kitchen towel rather than the blender’s lid. Puree for about one minute. Pour puree into a separate vessel and keep working in batches. Ladling in batches prevents a hot explosion! Ladle soup into serving bowls and add a pinch of Weeger Spice as a finishing touch. Labor Day is this weekend. I can't help but feel wistful that the summer has flown by! Anyone going to a fun barbecue? Well, I got your grilled burger variation right here! This recipe was inspired by a Vietnamese dish called Bo la lot, grilled beef and lemongrass wrapped in betel leaf. I used what I had on hand, but I think other green herbs would work beautifully in this. Next time, I plan to add chopped mint. Whisk soy sauce and vinegar together in a small bowl or measuring cup. In a large bowl, combine all ingredients until incorporated (mix with your hands, gloves help). Let stand for 15 minutes to marinate. Lay shiso leaf flat, with stem facing you. Scoop a tablespoon of ground beef mixture, roll into a log and place at the stem end of the leaf. Roll up toward the point of the leaf. On a pre-heated medium heat grill or grill pan, place the stuffed leaves seam-side down. You could also broil in the oven as an alternative. Grill for about 8 minutes, turning each side, until done. It's the second half of summer and eggplants are in abundance. I love the creaminess of the flesh and slight smokiness of the flavor, not to mention its versatility. Here is a simple side dish that's sure to satisfy. Cut eggplants in half, lengthwise and make a few cross-hatch cuts on the flat side. Generously coat the cut side with olive oil then sprinkle generous pinches of Original Weeger Spice and salt on each half. Place cut side down on a baking sheet and roast for 20 minutes or until fork tender. If you've yet to try grilled fruit, we highly recommend it! It brings out the sugars and caramelizes beautifully. For a unique dessert, try it served with fresh ricotta or mascarpone and a drizzle of honey. As a savory appetizer, try it wrapped in prosciutto. Heat grill or grill pan to medium heat. Brush the inside of figs with olive oil, sprinkle a pinch of Sweet Weeger Spice and place face down. Grill for 4- 5 minutes, until they are slightly browned and soft to the touch. Serve with fresh ricotta, mascarpone or ice cream or wrapped in prosciutto. Some of our favorite dishes are delicious for breakfast, brunch or dinner. Our poached egg recipe is quick, easy and satisfying. In a small skillet, bring tomato sauce to gentle simmer over medium heat. Create small wells in the sauce for each egg. Crack eggs in a small bowl and gently lower each egg into the wells. Sprinkle Original Weeger and salt and pepper on eggs. Remove from heat and sprinkle chopped herbs and cheese over the eggs and sauce. Transfer eggs and sauce into shallow bowls or plate. Enjoy with a crusty piece of baguette or toast. We love how the texture, nuttiness and salinity of Toasty Weeger Spice pairs with fish. Here's a simple recipe that takes no time to make! It pairs well with a dry, sparkling white or fruity rosé for a delicious summer dinner. All the better while watching a sunset, whether it be from a porch, beach or rooftop. Enjoy! Wash Brussels sprouts, stem, then discard any damaged leaves. Cut sprouts in half lengthwise, then cut each half into thin ribbons by cutting across the leaves. Heat 3 T of oil in nonstick pan over medium heat. Saute shredded Brussels sprouts with salt for about 5 minutes, until wilted and slightly browned. Transfer to plates. Rinse scallops thoroughly, then pat them dry with paper towels. Dredge both sides with Toasty Weeger spice. Heat remaining oil in a nonstick pan over medium-high flame (make sure it gets nice and hot) and place scallops flat side down in pan. Be sure not move the scallops in the pan, so you get a nice sear. Depending on size and thickness of scallop, cooking time can vary. For larger scallops, try 1 1/2 to 2 minutes per side. A golden crust on the bottom will tell you it's time to flip. Do not overcook. Remove from heat and place 3 scallops on each bed of Brussels sprouts. The entire first half of the summer I'd been waiting for summer to begin. Am I the only one who felt... constantly poised? Anyway, good thing I snapped out of it, otherwise my favorite summer produce would have passed me by. I really love this bright, refreshing salad. It has just the right amount of fresh herbiness and sweetness (with a little kick). Use your favorite herbs - chives, parsley, dill - to play with the flavors you like. Cut corn off the cob by holding ear vertically in a roasting pan and slicing downward. Heat half of the olive oil in a large saute pan over medium-high flame and saute corn with a large pinch of salt for 3 minutes. Set aside in mixing bowl along with tomatoes. In a separate bowl, whisk lime juice, remaining olive oil and Sweet Weeger spice. Pour dressing over corn and tomatoes. Fold in chopped herbs. Add salt and more Sweet Weeger to taste. We officially launched on May 14, but unfortunately, our production schedule has been slightly delayed. Our friends at Bread Love (the commercial kitchen from where we were producing) suffered a massive fire. Sadly, their space was destroyed. We're extremely glad that no one was hurt and hope for a speedy clean up and recovery. In the meantime, we're are on the brink of securing a new kitchen space and are looking forward to getting back on schedule. It was a monumental week--we had our first production run this past Wednesday night! From 10pm to 2:30am! Oof. It took a few days to catch up on sleep from that, but it was satisfying to see all of our hard word start to come together that night. We made enough product to fulfill the Kickstarter incentives. Our production was photographed by Clay Williams, who is very talented. I highly suggest taking a look at his excellent work. We were lucky to have him taking our picture. I'm a blinker, though, so hopefully there's at least one shot of me with my eyes open. For the most part, everything went pretty smoothly... although there was a moment where I felt I'd gone back to square one. Back in February, I spend a huge amount of time fine tuning the recipes and the major issues were hotness (from crushed red chili peppers) and the wet consistency of the brown sugar in the sweet version of the spice. At this point I thought I'd gotten it perfected (in my kitchen), but not so (in the commercial kitchen), as we discovered in this production. The sweet blend was a lot hotter than I'd anticipated. During the recipe testing phase you spend a lot of time and attention to the sources of ingredients you're using, but when it's time to find wholesale sources, sometimes you have to compromise for various reasons--ease of delivery, pricing, availability... so, we ended up using a few different brands than the ones from our testing phase and saw the difference. Chili peppers are a hard ingredient--the level of hotness varies from brand to brand. It's not the end of the world, but just goes to show that the work you thought was done and dusted really is not. Hey, remember that scene in School of Rock when Joan Cusack gives her "I used to be fun" speech? That's me. Not that anyone else is putting pressure on me--it just comes with the territory of being self-critical. I also feel like I have a perpetual 'deer in headlights' look on my face. I'm also brain dead, so can't quite muster up any witticisms. The launch program is like bootcamp (with really supportive, nice people guiding you instead of drill sergeants). It can get really exhausting and there were moments when I felt like I just didn't have anything to give (real talk, no sugar coating here), but the moment things start to come together is when the light at the end of the tunnel comes into focus. It's the lift that helps you remember the feeling of excitement and possibility you had when you first dreamed up your idea. Which is where we're at now--we've ordered packaging and will be doing our first production run next week. This will fulfill the incentives for all of our phenomenal Kickstarter backers. I feel warm and fuzzy just thinking about them. Last night, I had the opportunity to meet Courtney, the first graduate of the Fare Trade program. I'd heard so many anecdotes about her through Chrissy and Monika, that I already felt like I knew her. It was so great to hear her take on being a food maker. You should really try her Love Sweet Love pralines, too. They're delish--not too sweet, made with goat's milk, yums. Mo posting here. Thought I'd share a little snippet of our adventure that involves Lego bricks, a mix-up, and friends who love you no matter what. You see, last Saturday we were invited to a friend's apartment for dinner. She asked me to bring a sample of our spice on some popcorn so she could finally try it. Of course, I said I'd whip some up right away. When I went to the kitchen, much to my dismay I was short of a few vital ingredients. So, that afternoon I walked over in the rain to Dual Specialty Shop for some spices with my five year old daughter in tow. She was such a sport that I offered to walk a few more blocks over to Kmart to pick up a Lego set for the kids to play with at the party. One thing led to another, the checkout line was ridiculously long, we passed a dying rat in the crosswalk, I had to run another errand on the way back, she needed a snack... and before I knew it we were late late late. By the time we got back home I was rushing through the process of toasting, grinding, and simultaneously popping popcorn. I grabbed my bulk bag of cumin and poured it into the wok with one hand while assembling a firetruck with the other. We threw our shoes on and were out the door to head downtown and join the party. We arrived fashionably late with our snacks and toys. Everyone settled in and the popcorn was poured into a lovely bowl and served. The reaction was all positive yet unexpected. "Ooh, is that anise?". Uh, no. "Mmm, I taste licorice!". What? It's cumin, people, CUMIN! Having eaten Weeger on absolutely everything from kale to ice cream for months now, I didn't bother to taste it because frankly, my taste buds needed a break. It was a great party and I lost myself in conversation and Lego building and mushroom pizza. We stumbled home on the bus way past bedtime and left the cleaning for the morning. When I woke up the next day I trudged into the kitchen to sort through the pots and pans and mixing spoons. My curiosity got to me and I tasted the Weeger batch, and much to my dismay it was anise. Funny, it was licorice, too. It was... FENNEL. Ugh! I was mortified. I sent out a mass email to all of my unsuspecting taste testers. Oops! Disregard the entire flavor you encountered last night, that is NOT Weeger. What that is something akin to spicy candy from last Halloween that nobody wanted to eat. How could they have liked it?! I think they are just biased and didn't want to hurt my feelings. But, in the end I learned two very important things: label your bulk bags clearly and your lovely friends will lie through their teeth because they are that cool. Too eager to Weeger (properly). Wow, we reached our Kickstarter goal--in six days! That's unheard of (I think)! We never would have expected that to happen. I can't help but be really moved by all the support we've received. I'm filled with gratitude. Thank you! We also had our first customer demonstration at Bread Love in Brooklyn. What a warm (and cool), welcoming place. Everyone that sampled our product was lovely and gave positive feedback. I couldn't help but wonder if they were just being polite, but I figure they'd let us know if they truly didn't like our product. Right now, we're working on ingredient and packaging sourcing and are very much looking forward to all of these components coming together. Wow, I need to catch my breath--the past week and a half have been a complete whirlwind. Let's see... I took my final exam for Food Protection in an auditorium in Harlem on a Tuesday afternoon. I signed in at the front desk and the security guard told me to "go get it". It sort of surprised and tickled me--does he know something? It just seemed so fraught with meaning. The next night was an Edible Brooklyn's "How to Build a Business in the Food World" event. Chrissy from Fare Trade was on the panel of speakers. The audience became really engaged and alive when Chrissy took the microphone--way to go, Chrissy! Mo and I were "revealed" and answered a few questions from the audience. Good thing we drank a beer because we did not do that when we filmed our Kickstarter video, but we totally should have. Speaking of Kickstarter, our campaign has been up for five days and we are almost $500 away from our goal. We're already 85% funded! Wild! It's an understatement to say that I'm really amazed. I'd envisioned funds trickling in bit by bit each week, but the support we've been receiving just this week has been incredible. Check it out here. I can't help but feel really moved by it all. Mo and I also had a busy Thursday--we had the opportunity to trail with Chris from Kings County Jerky Co. This was such a valuable thing to be able to do. Chris had a lot of insight and advice that really sunk in--rock the packaging!!! That's a must if we want to stand out from all those other spices. We also visited Rappaport Sons Bottle Co. to get an idea of what bottles to consider. I loved that this is a family-owned business. We bought a case of hexagon jars that are nice... but do they rock?? Irwin and co. from Rappaport were really nice, helpful and encouraging--we just loved going there. We trekked back to Manhattan and picked KJ up from school. We made a stop into Dual Specialty Store in the East Village--they are one of the contenders for our wholesale spice sourcing. There was a plethora of cool things--we ended up buying little packages of hibiscus powder, beet powder and powdered vinegar, just for the novelty of it. It will be fun to experiment with these... Again, kind, encouraging words from the owner, Shahin. My bleeding heart! This week was all about laying down some important groundwork (i.e. registering for an EIN, shareholders agreements, by-laws). Huh? Yes, you know, business. I can write about any tips or things I've learned in the future, but at the moment, I don't think I can add any valuable insight into this aspect. What I can tell you is that Mo and I filmed our Kickstarter video and I felt like Jack Donaghy over-analyzing his 'acting' in the episode of "30 Rock" where he had to film a clip about GE Product Integration. Mo and I also took a trip to Flushing to get some shots of Xinjiang skewers, the original thing that inspired this spice blend. We loved that our research was pretty much eating and taking pictures.